'Tips for tots' was a handcrafted mock-up made by the Neuraths as part of a proposal for a series of children's books sent to Max Parrish in 1944. 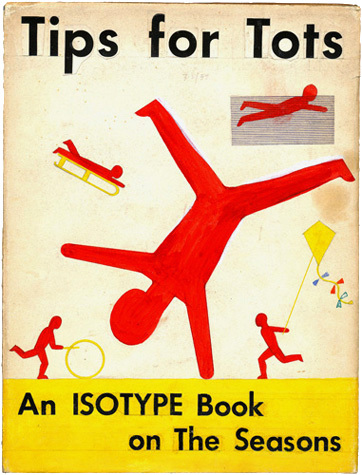 The mock-up was accompanied by a paper written by Otto Neurath, 'Isotype books for children'. In it he compares Isotype charts with photographs: charts, he said, are a way of encouraging reasoning based on visual statements, while photographs are a way of making children familiar with the appearance of landscapes, animals, plants.